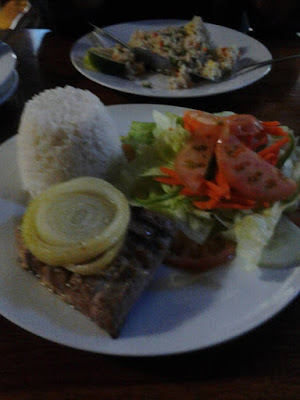 The reason why my son choose Vascos was that he's thinking of the ambiance. This is a restaurant which is overlooking the sea and based on the description that could be seen from the internet, this restaurant brings you to an era of galleons and pirates and will allow you to see some ancient relics and shipwreck display. 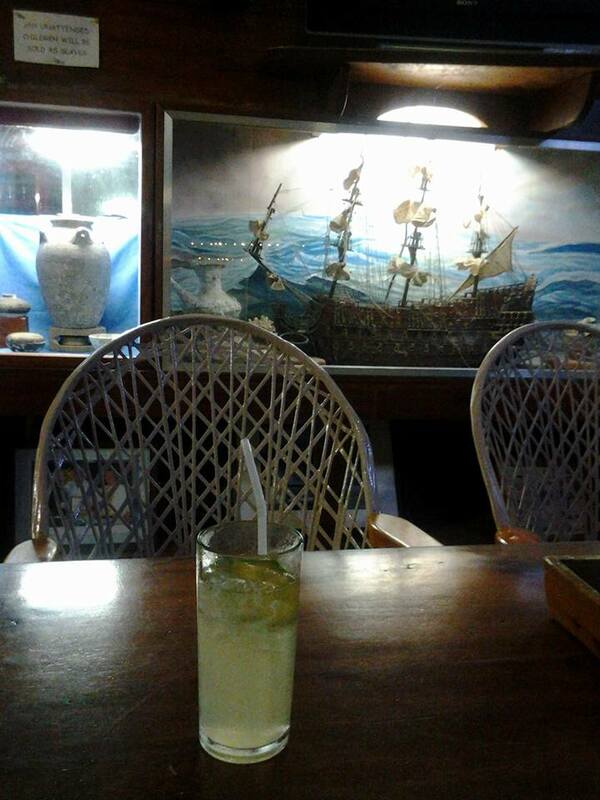 True enough, you could see some shipwreck display as you enter the restaurant but it seemed to be old and musty. We went there night time so it was a bit dark and you could hardly see nor appreciate the sight of the blue ocean. Besides, since it is open air, I could feel some mosquitoes biting my legs as we have chosen to sit on the area where we could still see the waters. I am not comfortable and suggested hubby to find another table for us and he managed to find one near the bar. He requested to have the wall fan opened at least to drive mosquitoes away. 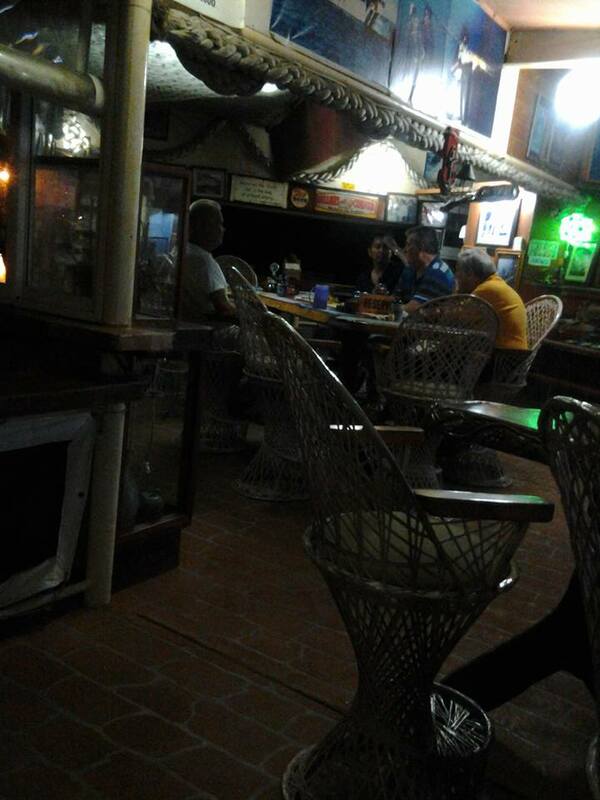 I've noticed that most of the customers dining there that night were Americans and most were talking really loud. I told hubby then that we probably went to a wrong place. 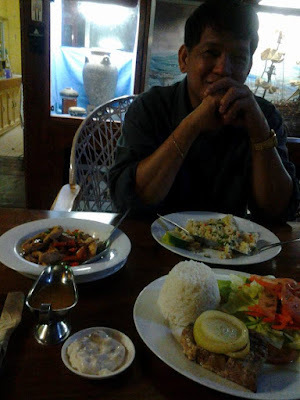 He agreed to what I said but since we were already there, we don't have a choice but to just proceed ordering our dinner. The menu comes with a variety of dishes, mostly Americans but they have a few selection of Filipino dishes. The foods are a bit pricey ranging from 300 to 600 per dish. Even the drinks are quite expensive, too. I ordered grilled salmon with tartar sauce and a hefty serving of green salad that comes with Italian dressing. Hubby ordered a Thai dish. I remembered that it's chicken but I forgot the name of the dish. It's a bit spicy too thus I love it as well. 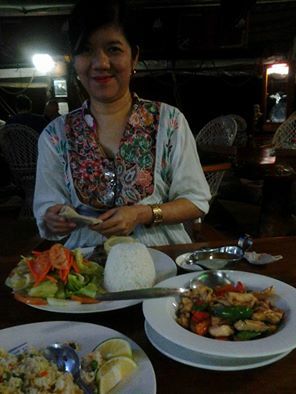 The foods are nice and satisfied`my tummy and that compensates for the ambiance that I am looking for. However I do not recommend this place if you want to have a romantic date or a private meeting with a friend. This place is good for a group of friends who wants to hang out, drink and have fun. It seems delicious. My I know the address? very interesting place to stay, lots of salvaged treasures in the museum.